A double burger with beef bacon and cheese. Oh my, this totally knocked me out. This place has definitely improved in standards since my first visit. 8/10. Burger, sweet potato fried and unlimited drinks for £15. I totally forgot to post this so it’s a bit late.. Yes, I jumped on the band wagon that rolled into town. 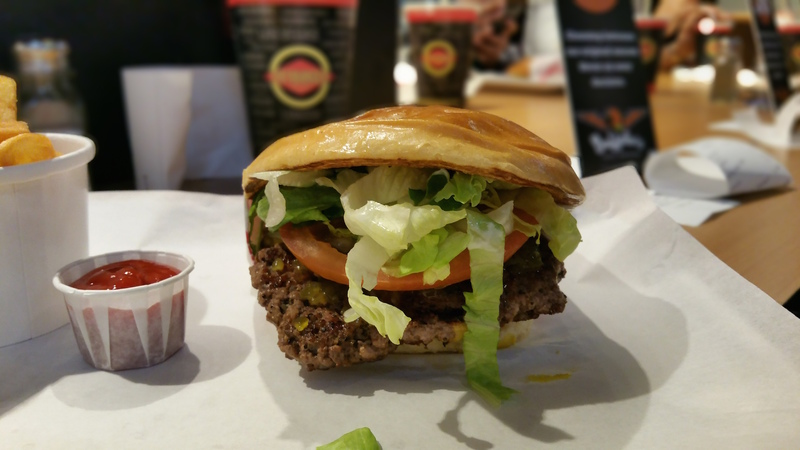 There has been a massive push on Instagram and twitter about the newly opened FatBurger. I tend to give it a month before a make a visit to a new restaurant, but since Ramadan is fast approaching, I had to get a visit in quick. First of all. This place is fast food. It’s not gourmet, but for some reason has gourmet prices. Food wise, this place seems hit on miss, however on the day I liked my burger. Here’s what liked. 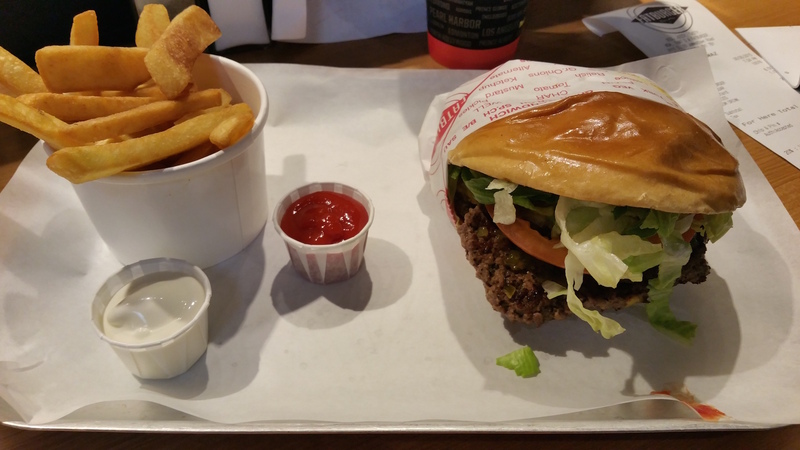 The burger is cooked on a hot flat grill. My preferred method of cooking. The burger it self was good, it reminded of a McDonald’s or BK Whopper that I had while on holiday or even Hardees in Saudi. It was layered well, fresh ingredients. A simple burger, the bun was toasted and cooked which made it soft. However, the meat patty wasn’t very filling. The flavours came from the layers of ingredients in the burger, the meat patty did lack a natural beefy taste. Its a fast food burger. The other plus points – Service. Very good for fast food. Friendly staff that help you figure out the choices you have. On my visit, I had a party of 12 and they helped arranged seating for everyone. Free refills. Nice touch. Presentation of food is appealing as well. My main issue is the pricing. A single burger costs more than a big Mac meal. Okay, so of course for Halal eaters, no concern. But i think it’s too much. I will make the price comparison to a gourmet burger, lets say loaded or proper burger, a burger there with a 8oz patty costs around £7. 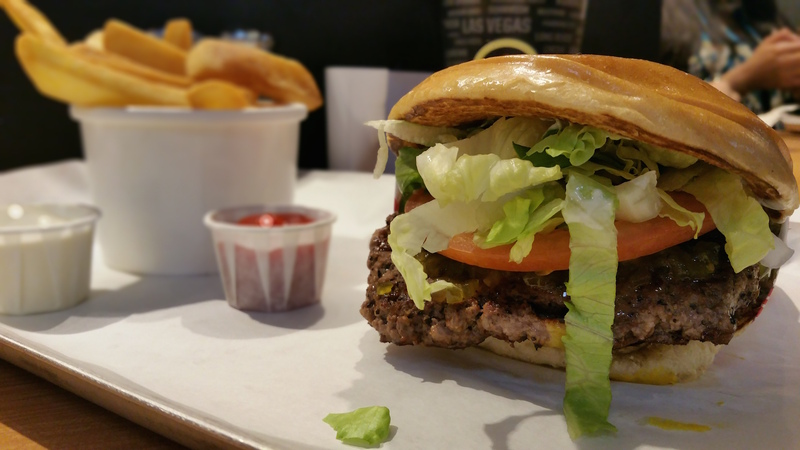 At Fatburger a double patty is £10. So for me, this doesn’t represent good value at all. I don’t see the justification in a burger that costs £10. I will be interesting to see how this place does after the halal boom dies down. A fast food quality burger at gourmet prices. 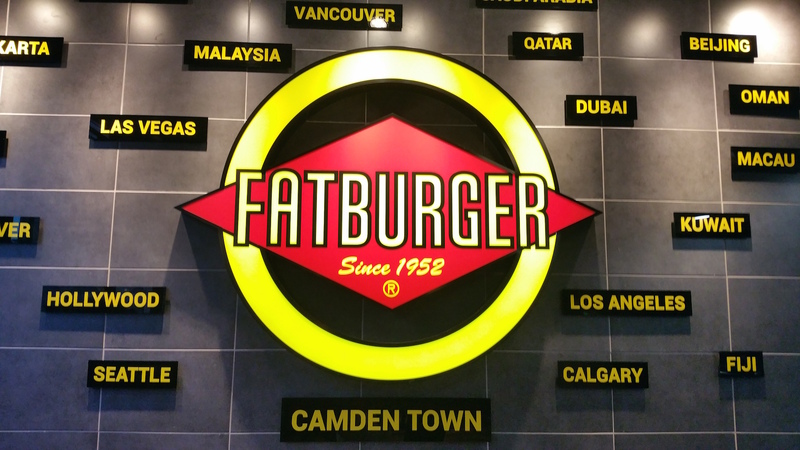 Hey Buddy!, I found this information for you: "Fat Burger". 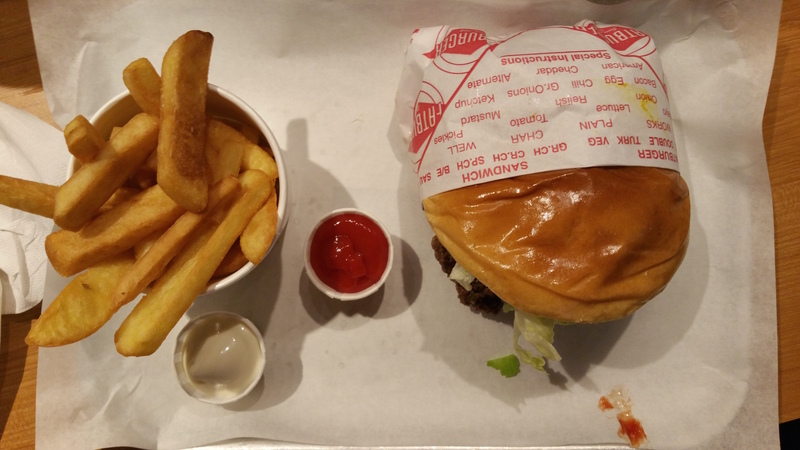 Here is the website link: http://halalfoodguy.co.uk/fat-burger/. Thank you.